“LOVE AND TERROR in the MIDDLE EAST” dramatically captures the author’s efforts to promote understanding and cooperation in the region between Jews, Muslims and Christians. It details Romano’s arduous journeys between Israel and the West Bank, discussing issues and organizing activities among religious and national groups. Traveling between these areas has been risky: he has been harassed/arrested by the Palestinian police, harassed by Israeli soldiers and attacked by Israeli settlers. Romano explains, “Most books on the Israeli-Palestinian conflict are written by intellectuals or pundits hundreds of miles from the epicenter of conflict, and they tend to focus on such things as the history, politics and conflicting views of the situation held by various groups.” This is a memoir of an expert on the Middle East conflict as well as of a man working in the field, face to face with people from all kinds of factions, including extremists on both sides. 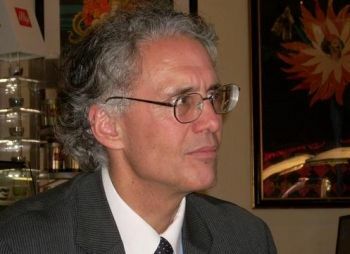 Frank Romano earned a PhD at University of Paris I, Panthéon Sorbonne, and a JD at Golden Gate University, Faculty of Law, San Francisco. He is a Maître de conférences (assistant tenured professor) at the University of Paris Oueste in the Anglo-American Literature and Civilization Department, an adjunct professor at Golden Gate University, Faculty of Law and a member of the California and Marseille Bars. At present, he teaches law, literature, history and philosophy of law at the University of Paris Oueste and practices law in France and in the United States. The author actively organizes and participates in interfaith events involving Jews, Muslims and Christians in Israel and Palestine. 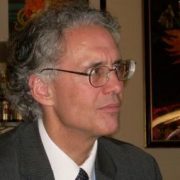 Dr. Romano has also authored a book entitled Storm Over Morocco, published by World Audience, Inc., Globalization of Antitrust Policies (Mondialisation des politiques de concurrence), published by L’Harmattan in French, Love and Terror in the Middle East and a book of poems entitled Crossing Over.